WASHINGTON (AP) ― Michelle Obama’s fashionable clothing has become something of a given in her five-plus years as first lady. Yet her wardrobe still is the subject of endless public fascination and one long-simmering question: Who pays for those incredible outfits? It’s no small matter. Her high-low fashion choices mix everyday, off-the-rack fare with custom creations from top designers whose gowns can run into five figures. In recent weeks, Mrs. Obama has turned heads with a forest-green Naeem Khan dress at the opening of a new costume gallery at New York’s Metropolitan Museum of Art. 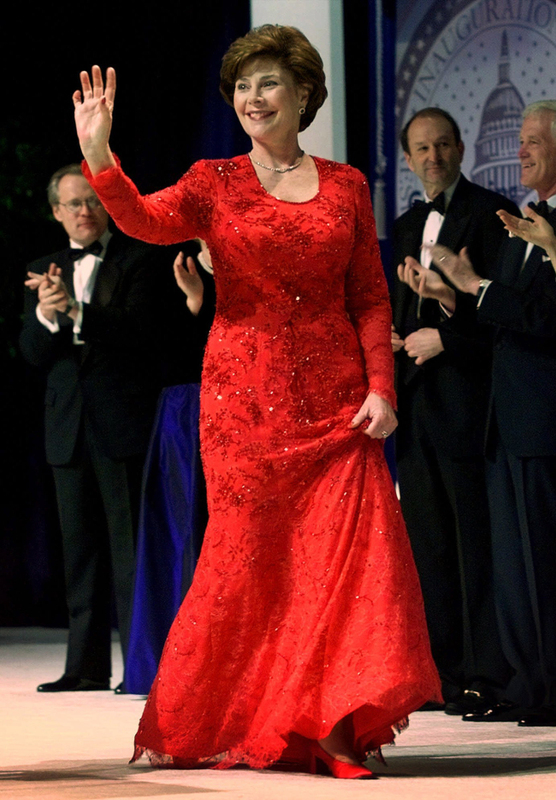 She shimmered in a silver Marchesa gown at the White House Correspondents’ Association Dinner. 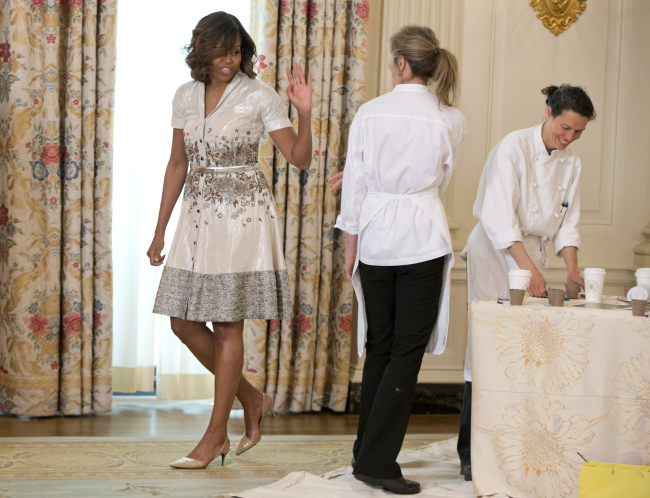 And her flowered shirtdress for a Mother’s Day tea at the White House (recycled from an earlier event) hit just the right note for an audience of military moms. Mary Todd Lincoln racked up tens of thousands of dollars in clothing bills and considered selling manure from the White House grounds to pay them off, according to the National First Ladies’ Library. Jacqueline Kennedy’s father-in-law stepped in to finance her Oleg Cassini wardrobe to keep clothes from becoming a political liability for President John Kennedy. 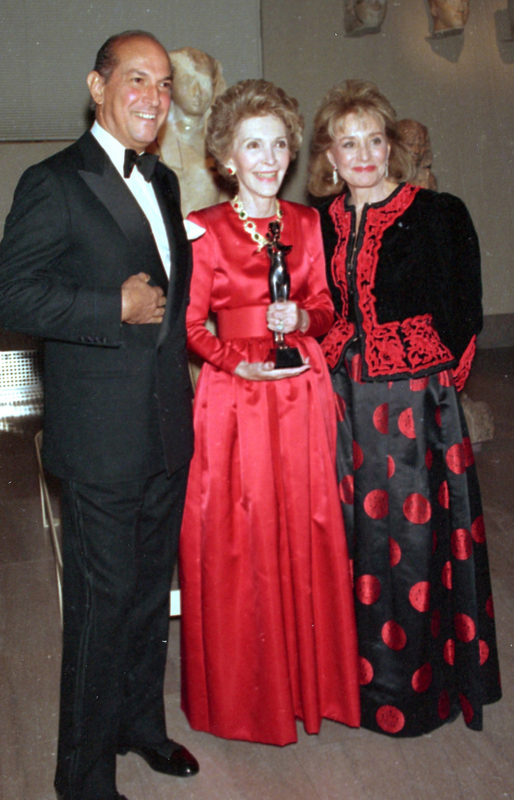 Nancy Reagan got grief for borrowing designer gowns and not always returning them or reporting them as gifts. Laura Bush, in her memoir, said she was “amazed by the sheer number of designer clothes that I was expected to buy” as first lady. That saves Mrs. Obama considerable money, although the White House refused to say how often the first lady wears donated clothes and the National Archives declined to say how many such items it has in storage. The White House did say that the first lady doesn’t borrow any clothing and, for the most part, buys her own clothes. The clothing donated by designers includes Mrs. Obama’s two inaugural gowns made by Jason Wu, a lesser-known designer, before Mrs. Obama turned him into a star in the fashion firmament. Wu declined to discuss how he works with the first lady. 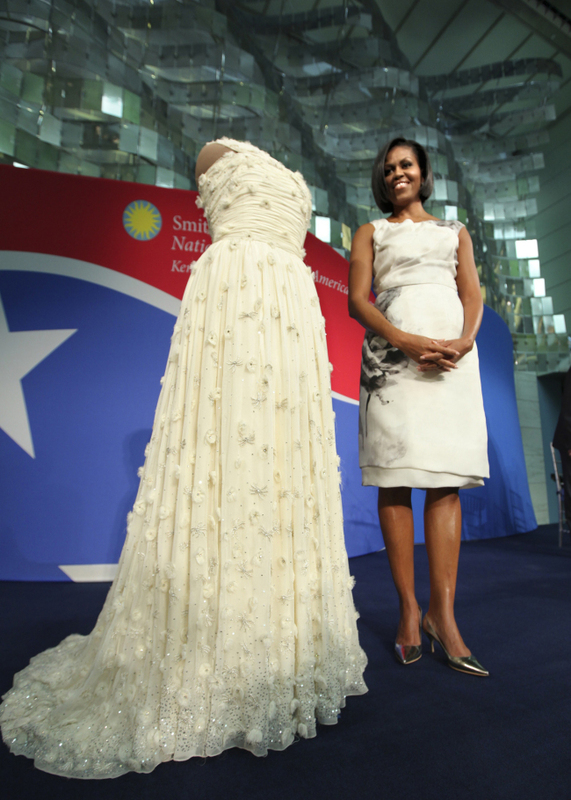 Mrs. Obama and Wu both were there when the first inaugural gown was presented to the Smithsonian in March 2010. The first lady said in her remarks, “The dress I donated today, made by Jason Wu, is a masterpiece.” But the Smithsonian lists the gown as a “gift of Jason Wu in honor of first lady” Michelle Obama, making clear it came from him. The first lady’s office had no comment on that. Two other examples of gowns worn by the first lady that were donated by designers: the blue Carolina Herrera gown that Mrs. Obama wore to February’s state dinner for French President Francois Hollande and the gold beaded Naeem Khan gown that Mrs. Obama wore to the 2012 governors ball, now on display at the American Museum of Natural History. Herrera and Khan declined to comment. The first lady’s office had no comment on whether the couture gowns worn by Mrs. Obama for her six other White House state dinners also were donated.